Home / Personal Finance / Should you save or pay off your debts first? Even if your main objective is to pay off debt first, always save a little bit. This is because you need access to funds during an emergency, and failing to do so can trap you in a cycle of debt. For example, say you spend practically all of your disposable income on making huge loan repayments. You barely have enough to live on and don’t have any savings at all. What happens if a crisis strikes and you need medical care? Or you lose your laptop and can’t do any work without it? Chances are you’ll end up taking a personal loan or using a credit card, and undo your debt repayments. This can result in a “two steps forward, one step back” scenario – you remain stuck in debt because you spend so much repaying debt. Over time, this can turn into a vicious poverty trap. So it is critical to always set aside some money for emergencies, even if you decide to focus on debt repayment. Try to set aside an absolute minimum of 10 per cent of your take-home pay. An unsecured loan is any loan in which you do not post collateral (i.e. there is no asset for the lender to confiscate if you don’t repay the loan). The most common examples of unsecured loans are credit card loans and personal loans. Because unsecured loans pose a significant risk to the lender, the interest rate on these loans is almost invariably high. This is around 24 per cent per annum for credit cards and six to nine per cent per annum for personal loans/credit lines. If these constitute the bulk of your debts, it is advisable to pay them down first and gradually raise your savings rate as they are paid down. Start by setting aside 10 per cent of your monthly pay for emergencies, and then using the rest (after deducting basic living costs) to pay down debt. Note that you should always pay more than the minimum on all of the loans. For example, say you have $1,500 to spend on repaying debt. You have (1) a credit card debt which requires a minimum repayment of $120, (2) a personal loan which requires a minimum payment of $50, and (3) a credit line which also requires a minimum repayment of $50. You would repay $1,300 for the credit card, $100 for the personal loan, and $100 for the credit line. When the credit card is fully repaid, you would repay $1,400 for the personal loan, and then $100 for the credit line, and so on. Important: if you have a personal instalment loan or any loans with a fixed repayment scheme, check with the bank before you attempt to pay them off early. There may be a penalty involved, and it’s probably not worth it. Once you have reduced your collective debt by 50 per cent, raise your savings rate to 20 per cent of your monthly income, then pay down the remaining debt with what you have. The most typical example of a secured, low-interest rate loan is your HDB loan. Another example, if you happen to have an asset valuable enough to qualify, is a Lombard loan from a private bank or other financial institution; this could be a loan that uses your gold in a bank vault, or a properly valued stamp collection, as collateral. If most of your loans are in this category, it could actually be a bad idea to rush loan repayment – you should focus more on investing and saving. For example, say you owe $380,000 on your HDB flat. You have, over a few years, diligently saved $10,000 in your bank account. Now you could decide to spend that $10,000 to speed up your HDB loan repayment; but what would that get you? You would still have many years of repayments, so forking over the $10,000 doesn’t change much. All it does is deprive you of money for emergencies (and you can’t ask HDB for the money back later, if you need it). Nor does it improve your financial position one bit: if you owe $380,000 and have $10,000, your net worth is $370,000. If you owe $370,000 after making prepayment, and have $0, your net worth is…$370,000. You’re not doing anything other than losing liquidity. Also, due to the low interest rate of secured loans, you may be able to “out-invest” the rate. For example, an HDB Concessionary Loan has an interest rate of 2.6 per cent per annum. If you were to put the aforementioned $10,000 in a viable investment, growing at five per cent per annum, you would be getting returns of 2.4 per cent even after addressing your mortgage obligations. 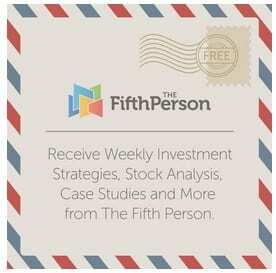 (To find safe investment options with that level of performance, follow The Fifth Person or get in touch with us). If you want to apply for a flat soon, you might have to emphasise debt repayment over savings. Assuming you have at least enough for your flat’s down payment (you’ll need 10 per cent of the price in CPF or cash), drop your savings to 10 per cent of your monthly income. Focus on aggressively paying down your debts, until your minimum monthly repayments are 25 per cent of your monthly income or below. For example, if you earn $4,000 per month, you should aim to pay down debt until the minimum monthly repayments for your loans is $1,000 per month or less. This is to maximise your odds of qualifying for a home loan when the time comes. Once you pay down your debts to that level, raise your savings back up to 20 per cent of your monthly pay.